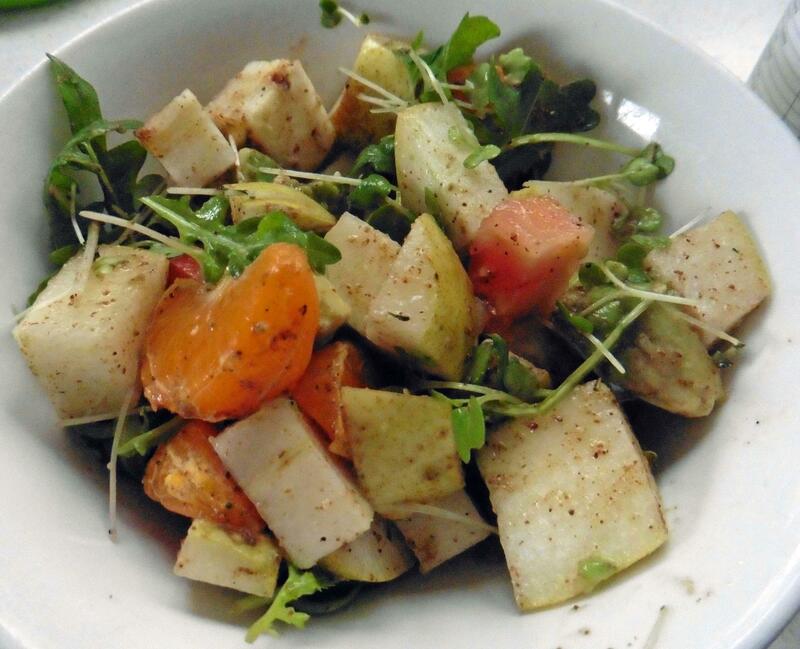 This is a simple but delicious salad, suitable for buffet meals. Use as many of the main ingredients as you have or any that you have. Adding a chopped fruit like apple, orange, kiwi, pear, halved grapes etc. enhances its taste. 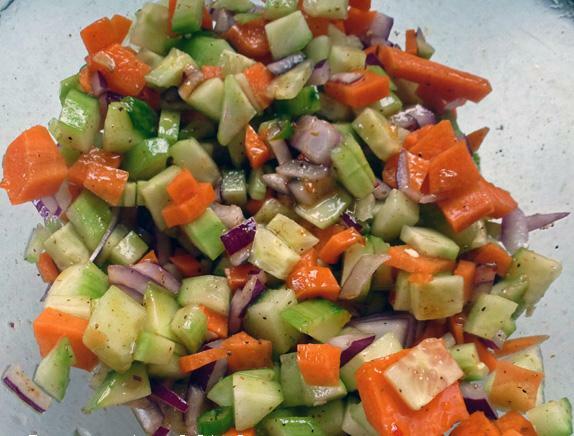 I often serve it as an everyday salad, about 1/2 an hour before meal time. 2 tsp Chat Masala, adjust amount to taste. You can buy ready-made Chat masala from Indian grocers. 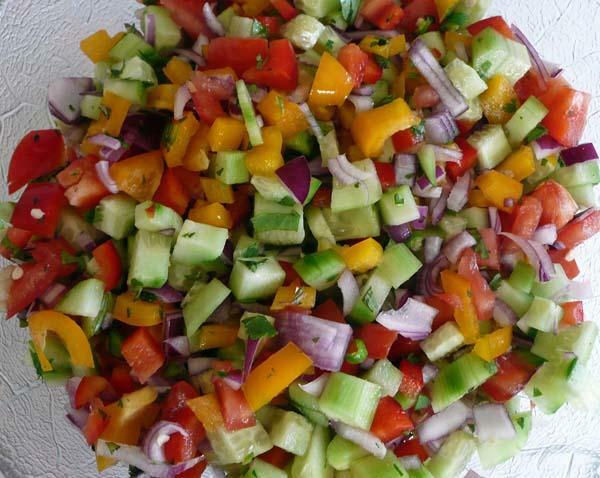 Place all salad ingredients in a bowl and mix thoroughly. Add chat masala and lemon juice, mix gently. Arrange lettuce leaves at the base of a salad dish or bowl or 1 leaf per individual plate. Spoon this mix on top of the lettuce leaves. I often add chopped up apples, pineapple, pear or any other crisp fruits from the fruit bowl. Other dressings of your choice can be used.